Each year, the Saturday before Thanksgiving, something magical happens around here. 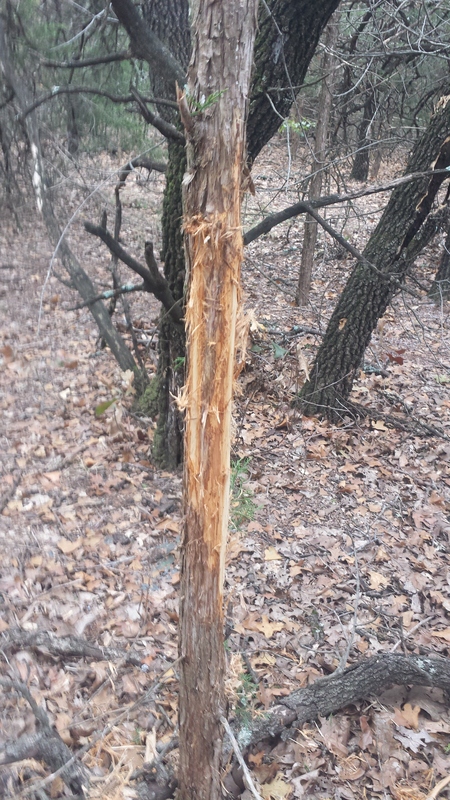 Rifle season opens. Now, I wouldn’t say I’m an “avid” hunter, but I really do enjoy it – and kinda know what I’m doing. Saturday morning I didn’t even set my alarm to get up because I thought it was supposed to be pouring down rain. Guess what, it wasn’t! It was the perfect morning to go out! 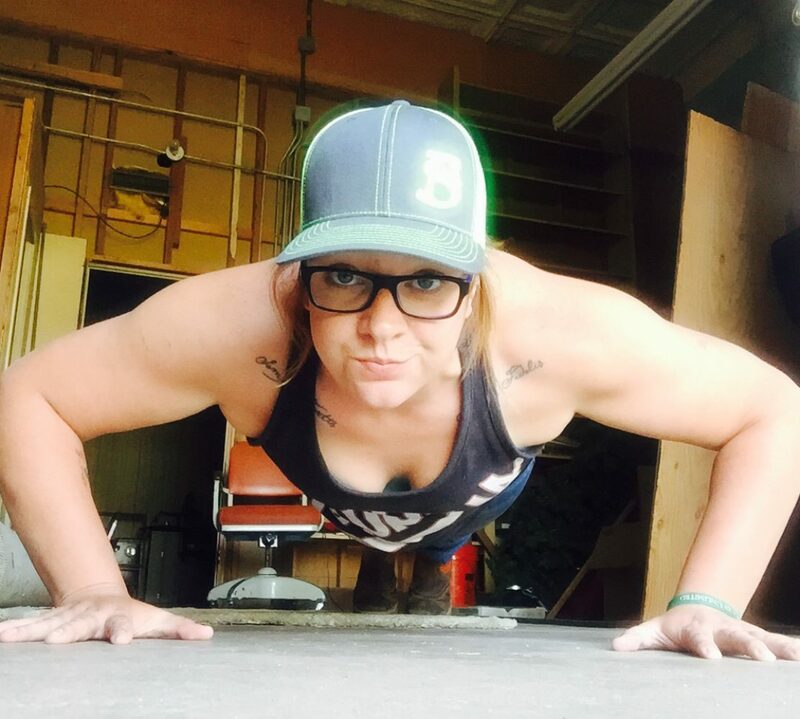 Well, about 10 o’clock I decided I would go out and check the corn feeder and spend some time traipsing around the 400 some acres I’m so blessed with. Last year it seemed that all the old bucks were hiding and I was left with only the girls and a few teenage boys…this year looks to be a bit different. 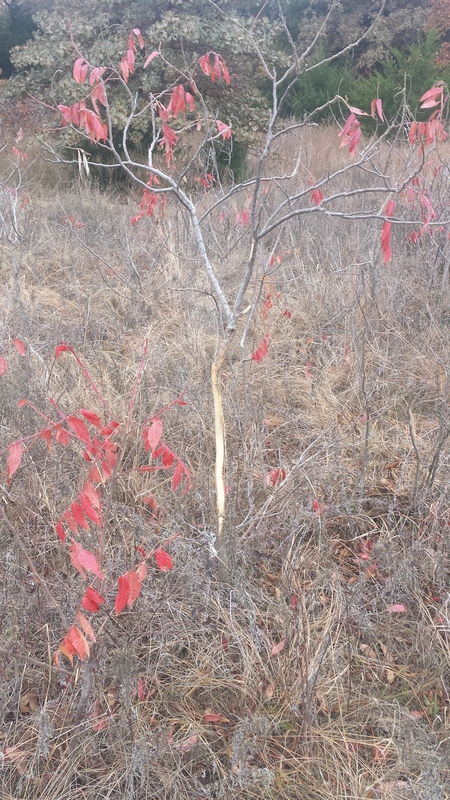 When I got out to check the feeder, I immediately saw a nice rub on a sumac tree! That got my blood going – it’s pretty exciting, ya know! So – I dumped a little corn in the feeder and headed south. There was hardly a breath of wind, so I was using my ninja skills to stay extra quiet. I put some good miles on my boots. It seemed like every little path and roadway was covered with tracks. LOTS of tracks, fresh ones and old ones, big ones and small ones. 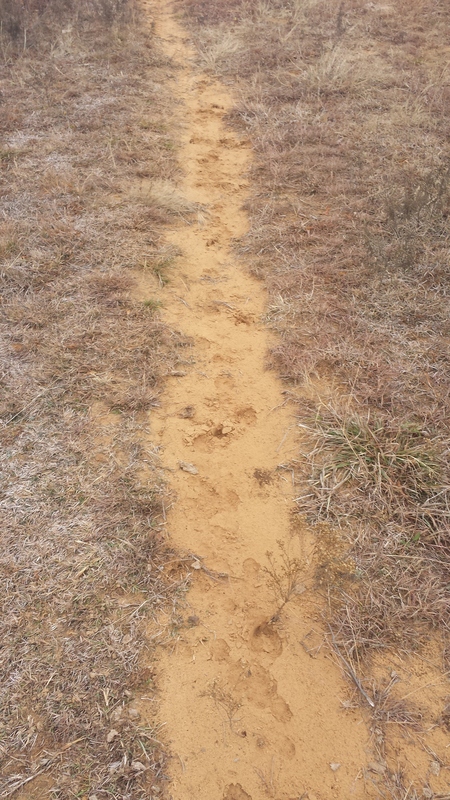 The most exciting track of the day was this big ole buck track…not 75 yards from my stand. I actually couldn’t believe he was just traveling out in the open like that…so there must have been a real pretty doe up ahead of him. I’m going to attribute this giant rub to him too. There were at least 3 more this size in this area. I’m pretty sure I know where I will be sitting this evening! 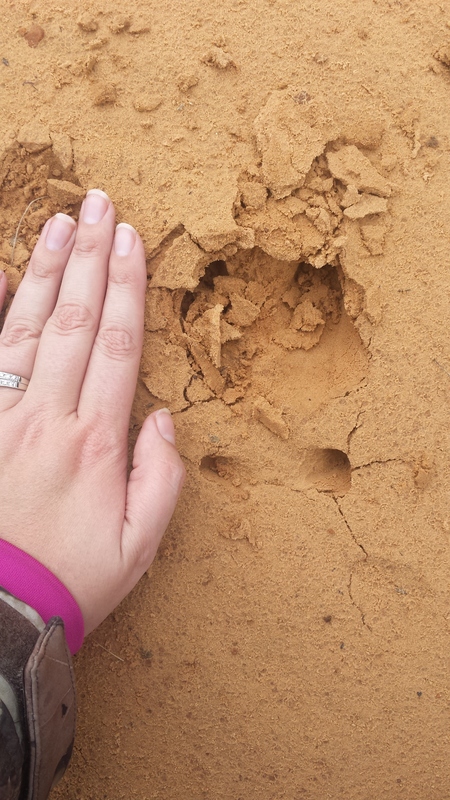 Now, don’t get me wrong…I DO love the thrill of hunting for the massive bucks that I know are living on this place, BUT, I also know that they have been allowed to get so big because I pass them up when they are young. Let them GROW, people! Don’t harvest every ole 2 year old 8 point that you see. Hunting is more than just a trophy for your wall, it’s about sustenance and controlling a population. Stay safe out there, hunters!